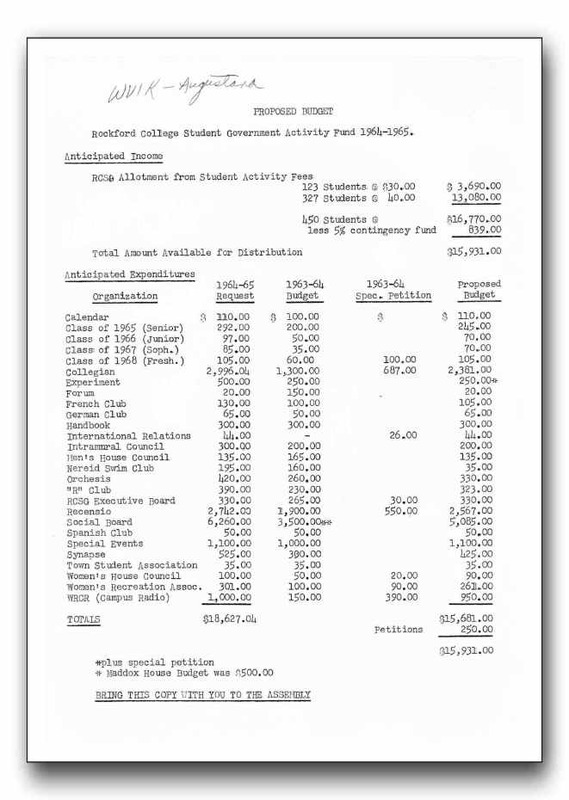 Here's a copy of the working proposal for the student government budget for 1964-65. It looks like 450 students were expected at RC for 1964-65. WRCR got $150 plus another $390 in a special request in 1963-64. The Exec Board requested $1,000 for 64-65.